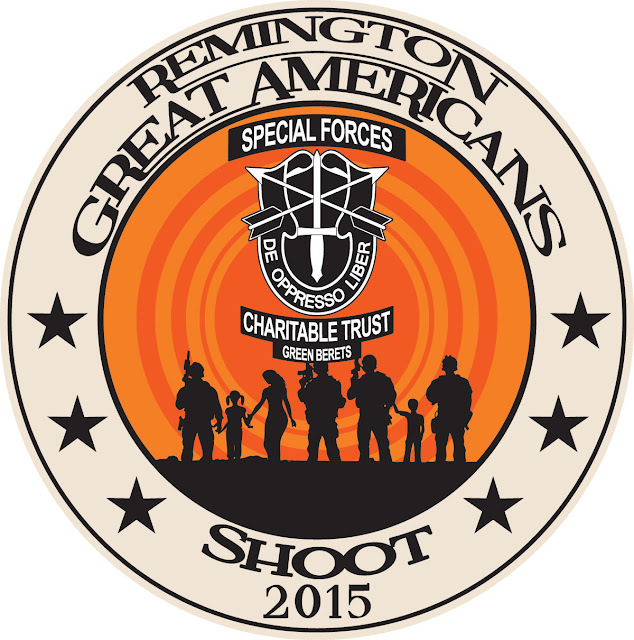 ROSHARON, TX (June 23, 2015)- The Remington Great Americans Shoot (RGAS15) “The Most Money Ever Raised with Guns,” returns to Rosharon, TX September 26th benefitting the Special Forces Charitable Trust and other military non profits. It’s not about guns or even about the shooting competition: it’s aboutreal people raising money, all of which goes directly to organizations that directly serve our nation’s Special Ops community. RGAS14 broke all known charitable shoot records, netting $1.2 million, a milestone organizers aim to shatter this year. RGAS15 is hosted by the Special Forces Charitable Trust (SFCT), which provides meaningful and sustainable support for the Special Operations Community and their Families. The Remington Great Americans Shoot is a one-of-a-kind format. Twenty teams of five shooters choose a military charity and raise a minimum of $50,000. Half of the proceeds go to the Special Forces Charitable Trust; the remainder is split among designated charities of the top five fundraising teams. Other designated military non profits include The Marine Corps Association Foundation and Lone Star Veterans Association. Another team is shooting on behalf of the Special Forces Charitable Trust. Each team also includes a “6th Man” from within the Special Operations Community, who joins the shooting competition as an honorary team member. Top shooting teams compete for amazing prizes including: R-4 Remington Gas Piston Carbine, Remington XM2010 Sniper Rifle System, a Remington 1100 American Classic 12G and various other Remington firearms and products. The Special Forces Charitable Trust and Remington invite you to donate and say “thanks.” After all, we are just “Great Americans doing Great Things for Great Americans!” Donors of $100 or more receive a special Challenge Coin from the Special Forces Charitable Trust.